War came to Fort Drum on 10 December when its decks were cleared of peace time temporary barracks, thus permitting all around fire for Battery Marshall (except for cage mast). On 13 January a small Japanese vessel approached Ternate on the Cavite shore but retreated promptly when Fort Drum opened fire with a 3-in gun (Battery Hoyle. Ed.) installed that morning on the stern of the ship. Between 31 January and 5 February some of the seacoast batteries which could fire on the south mainland were in action almost daily, especially those at Forts Frank, Drum and Hughes. Observation was very difficult from the fortified islands but Captain Ivey, 60th CA (AA), with a small party of enlisted men, using a walkie-talkie radio at an OP on the mainland, gave spotting data until his detail was attacked and driven out. At 0812 hours on 6 February 1942 the first enemy artillery fire against the fortified islands fell on Forts Drum and Hughes and Corregidor shortly after 0800. The bombardment came from 105-mm batteries on the Cavite mainland and lasted until about 1100. The principal concentration was against Fort Drum which received approximately 100 hits without, however, impairing its main fighting strength. Observation to locate enemy batteries was difficult as most observers were looking directly at the sun. Based on the best information obtainable, the enemy fire was returned during the day by Battery Roberts (6-in) at Fort Drum and Batteries Koehler and Frank North at Fort Frank. Results were unknown. Corregidor was the enemy objective of all attacks except that on 2 January, Fort Drum and on 5 January, Fort Frank were included objectives, and on 2 March the latter was the sole objective attacked. The Pico de Lora hills on the adjacent Cavite shore, rising to a height of 2225 feet, completely dominated Fort Frank and the surrounding terrain. Under current war plans this area was to have been occupied by an infantry battalion and one battery of field artillery when the main forces found it necessary to withdraw to Bataan. However this plan was not followed and the Japanese were able to occupy this important observation post early in January 1942, and from it to adjust heavy concentrations of artillery fire on Forts Frank and Drum. 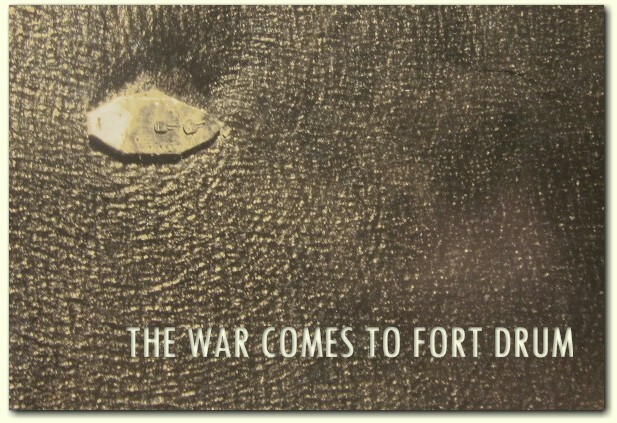 On 16 February, all fortified islands were shelled from Cavite Province beginning with Fort Drum at 2403. Exeter was damaged. On 17 February was a repetition of previous artillery action. The enemy opened fire on Fort Drum at 0615, and again on Corregidor at 0854 switching to Fort Hughes at noon. Although sporadic, this harassing fire was nonetheless annoying. The enemy opened fire promptly at 0730 on 15 March 1942 against Corregidor and Fort Frank, shifting to Fort Hughes at 0800, and Fort Drum at 0900. During the day Forts Frank and Drum received the brunt of the bombardment, each being under a heavy concentration of 240-mm howitzer fire for the first time. Shells falling on Corregidor and Fort Hughes were still of 105-mm or 15cm caliber. About 5% were duds. At Fort Drum one 240-mm shell penetrated the casemate shield at Battery Roberts disabling one gun temporarily. A fire was started but was extinguished before it reached the powder. Several men were burned and gassed by the fumes in the casemate. There were approximately 100 hits on Fort Drum. In each instance, the damage was light or repaired within a few hours. Almost every day thereafter various seacoast batteries at Forts Hughes, Drum, and Frank engaged every reasonable target on the Cavite mainland with artillery fire. Later in March (or early in April) Exeter was put out of commission permanently by enemy artillery fire from Cavite and Fort Drum's available means of active anti-aircraft defense was reduced to a few machine guns. However, the enemy had never succeeded in bombing Fort Drum effectively from the air - in fact the Japanese made very few attempts to bomb that fort either before or after Exeter's destruction so the loss of the battery was not keenly felt as it might otherwise have been. Exeter's M-1 height finder and power plant were transferred to Idaho. Such other parts of its equipment as might be of use in toto or in repairing damages sustained by other batteries, including its M-4 Director were transferred to Corregidor. Enemy artillery fire from the Cavite shore in mid-March resulted in serious damage to the electrical control system of Albany's searchlight unit on Fort Drum. The light, however, was continued in service by manual control. The Searchlight Defense picked up and carried the enemy every time he came within the range of the lights. Usually illumination by the lights appeared to confuse the aviators. In numerous instances the attackers would, when picked up and carried, turn away; sometimes to renew their efforts from another direction, sometimes abandoning their attempts altogether. Their bombing accuracy under illumination was extremely poor as compared to daylight bombings. The use of Bataan and Corregidor lights on some attacks and the Drum, Hughes, and Corregidor lights on other attacks caused the enemy aviators difficulty in keeping their bombing runs oriented and usually resulted in their dropping their bombs in the water. Fort Drum was an additional objective on 20, 23, 29 April when 4 aircraft attacked it, without causing any damage. 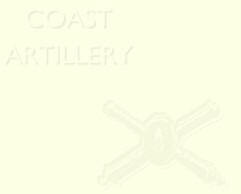 Every day various seacoast batteries at Forts Hughes, Drum, and Frank engaged every reasonable target on the Cavite mainland with artillery fire. On 7 May 1942 , when the Corregidor garrison surrendered, Drum was still in fighting condition. The captured Fort Hughes garrison was transferred to the 92d CA Garage Concentration Camp on 8 May. Except for a small detachment, the prisoners were detained without drinking water in the 92nd Garage area until removed to Manila by Japanese authorities, the majority being evacuated on 24 May. Troops at Fort Drum and Fort Frank were consolidated at Wawa, Nasugbu, Batangas by the Japanese and were also evacuated to Manila on 24 May. 2nd Battalion. C.O. : Lt Col Lewis S. Kirkpatrick (concurrent Ft. Drum Fort Commander located at Ft. Mills). Anti-Aircraft S/L Detachment from A-60th ("Albany"): C.O. ???? ?